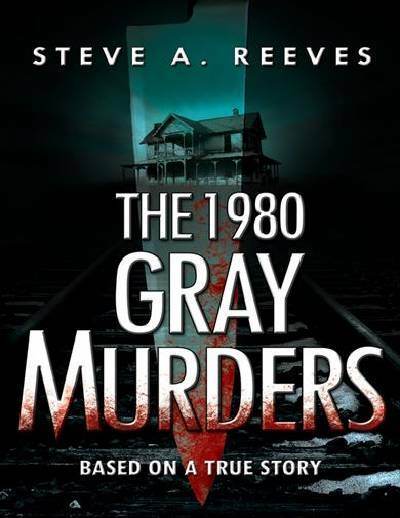 Investigative report into the 1980 murders of Henrietta Thomas and Howard Sisk. Victims were killed in the small community of Gray, Kentucky by their relative, Riddle Cornelius Thomas, Junior. It was a black December night in 1980. Trooper Earl Nicholson sped to the scene of a reported automobile accident. Arriving at the scene, Nicholson expected to see mangled steel and broken glass. Instead, he was met with the sight of a young woman dressed in pajamas – and a small, shirtless, boy – laying under a tree in the front yard of the house facing the street. Scanning the bodies with his flashlight beam, it was evident to the state trooper that the victims had died from multiple stab wounds. Leading away from the stiffening corpses were two frozen trails of blood – one in the direction of the front door, the other in the direction of the railroad crossing down the road. Nicholson radioed for back-up and cautiously made his way toward the house. I took a few breaths and looked out over the front hood of the vehicle, down the ravine and up the other side. No indication of movement anywhere. The SUV looked okay from what I could see. I turned away from the vehicle, maybe to head back, maybe to look around. I did neither immediately. I gasped. There just fifteen feet from where I was standing sat Rick Jimenez, the other reporter, as he had described himself that morning, for the town's newspaper. His face was contorted and covered with dried blood. His white shirt completely soaked in blood now drying in the hot sun. He was dead.